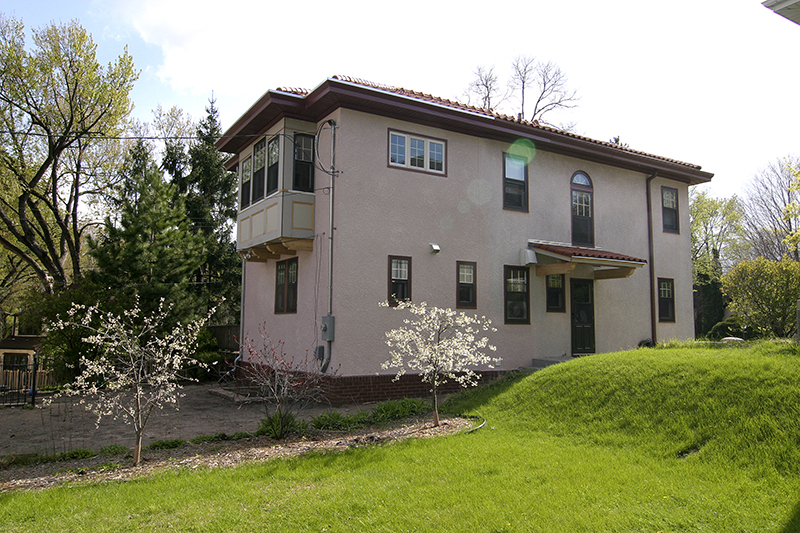 This charming 1926 house located in the heart of the city, featured the era’s distinct craftsmanship and architecture, but as home to an active family with two energetic children (and one large dog), the layout and floor plan did not accommodate their lifestyle. 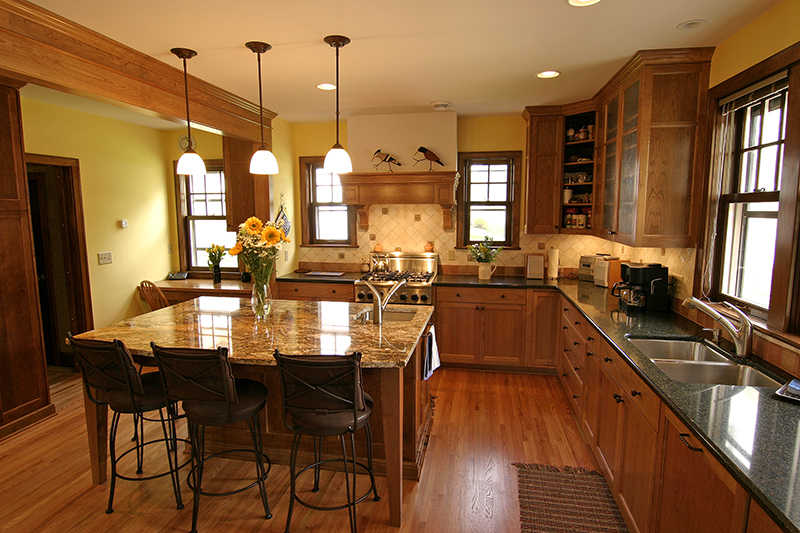 After working closely with the homeowners to fully understand their needs and traffic patterns, we all determined the best solution was to completely gut the original kitchen space and add a 12’ x 20’ two-story addition. 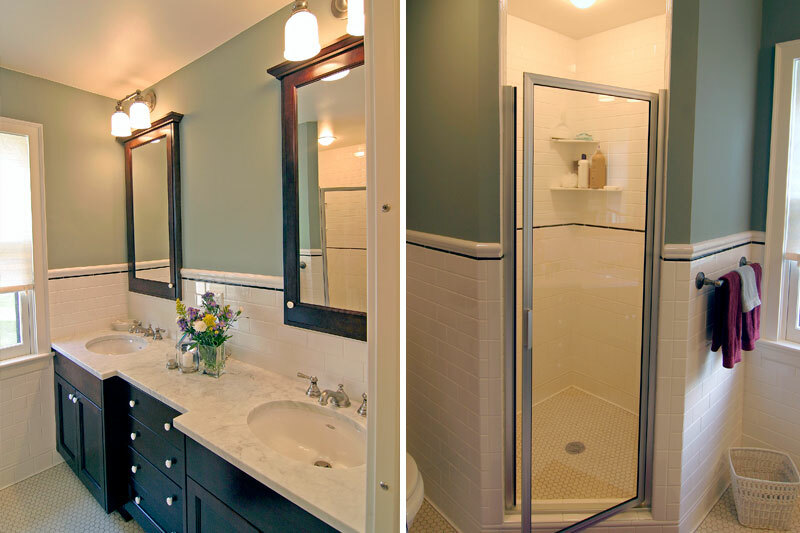 This solution allowed for an all-new kitchen built specifically to address the family’s needs, and created room for an expanded master bath and bathroom suite upstairs. 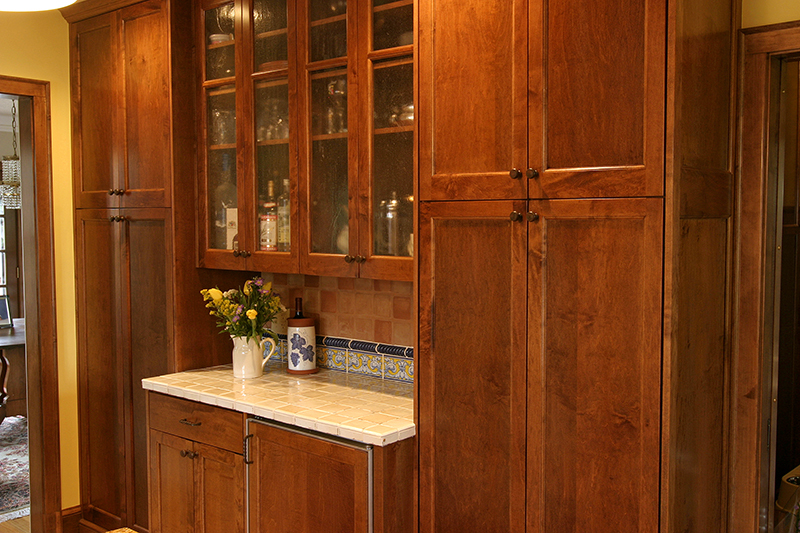 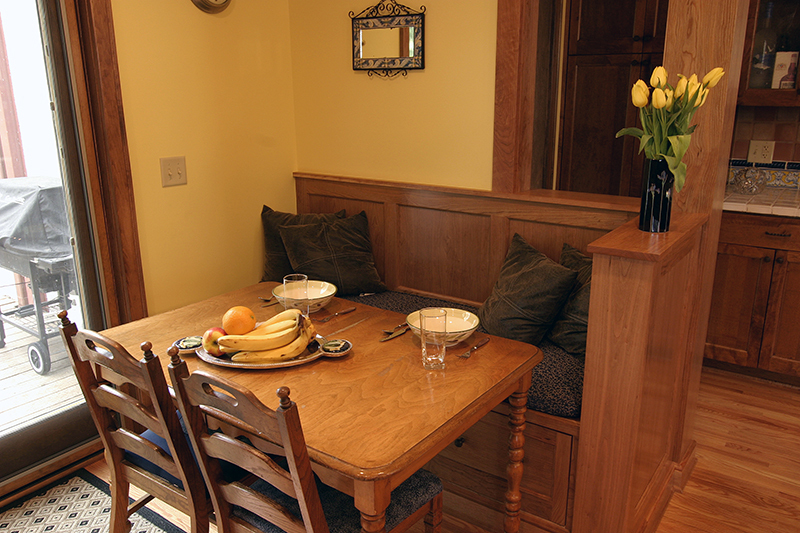 The original kitchen space was converted into an entry/mud room, and provided additional storage. 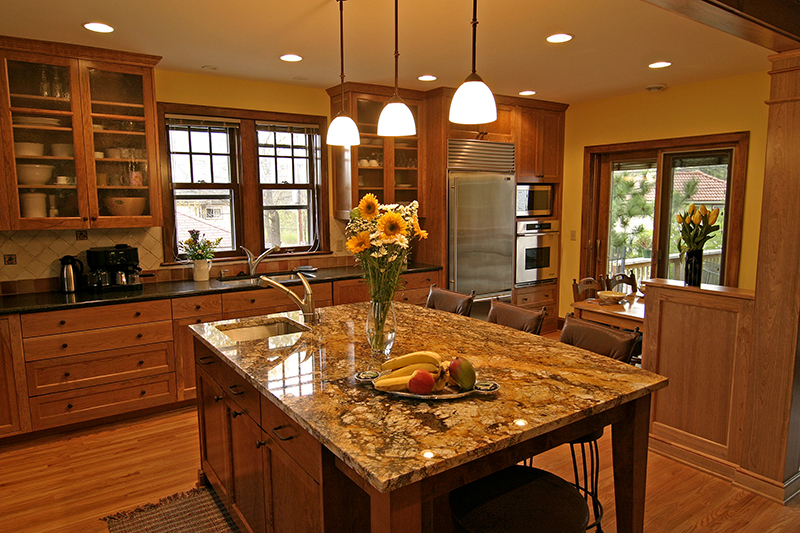 By using natural materials such as marble, granite, cherry, and maple we stayed true to the home’s aesthetic, blending seamlessly with existing features throughout the home. 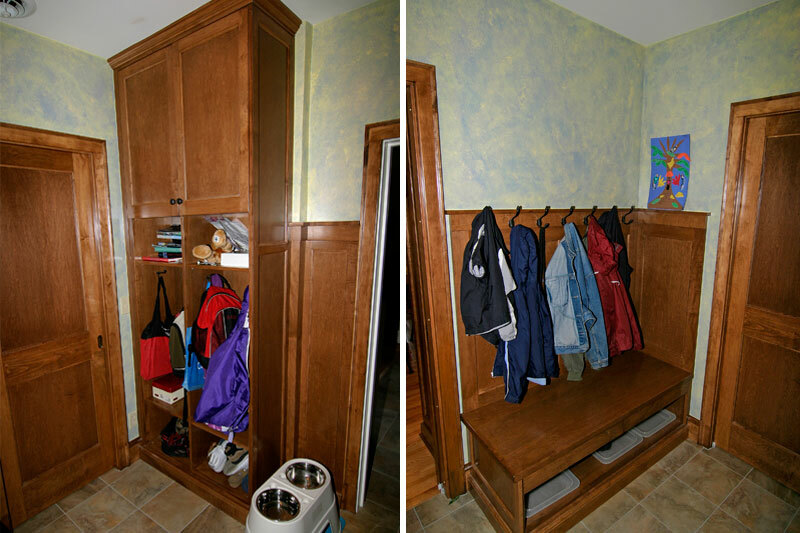 The transformation from crowded chaos to a fully functional space will serve this active family for many years to come.